The Northshire Bookstore Fountain of Youth Reading Group will meet on Monday May 20th at 6pm. Location TBA. This reading group will explore all genres of children's literature from wordless picture books to historical fiction, each month comparing them with an adult counterpart. Every month we will choose a children's book along with an adult book that share common themes and discovering how the content is transformed into books that younger readers can access and understand. The group will also explore what makes a children's book a well written" and "well illustrated" piece of literature and how many of the topics presented offer ageless messages about ourselves and our relationships with others and the world around us. For the month of April we will compare the Roxaboxen by Alice McLerran (illustrated by Barbara Cooney) and Main Street by Sinclair Lewis This is perfect group for interested teachers, parents, youth group leaders or anyone who loves children's books. Please email Beth Meachem, bmeachem241@myfairpoint.net, to register for the group! as a maid at Yosemite, as a clerk at an automobile agency, as an archeologist, and as a evaluator of programs at a mental health center;reorganized the administration of an orthodox yeshiva and a university career counselling center; helped a physician specializing in hypnotherapy develop a line of tapes. Writer; being a mom. 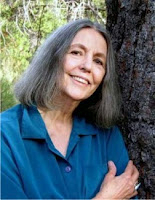 Alice McLerran is currently considered a "single author." If one or more works are by a distinct, homonymous authors, go ahead and split the author. Alice McLerran is composed of 3 names. You can examine and separate out names.